Runnymede was a late frigate ship with three masts and oak hull with the following specifications: Official #14724, 720 tons, length 156.0 ft., breadth 29.5 ft., depth 19.5 ft. with a draft of 13.3 ft. She was built in Sunderland in 1854, but at this point in time her builder is not known to me. She was owned by Brass & Co of Bristol, registered in that city. She began service from Sunderland to the East Indies. 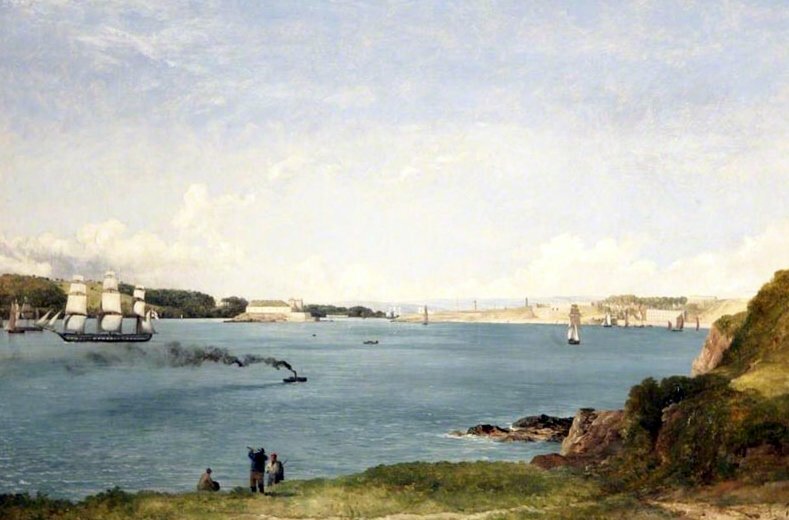 In 1856 she made her first London to Australia voyage and had changed her port of registration to London. Runnymede made an inauspicious start to her career as a convict ship when a murder occurred on board in Plymouth before she got underway. Corporal Nevin formerly of the EIC, was charged with murdering Sergeant-Major Benjamin Robinson, late of the 74th Regiment. 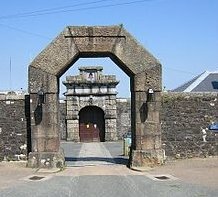 The men had been enrolled pensioners acting as prison guard and warder respectively at Dartmoor Prison. Both were selected for the Enrolled Pensioner Force bound for Western Australia and embarked on the Runnymede in preparation of the voyage. 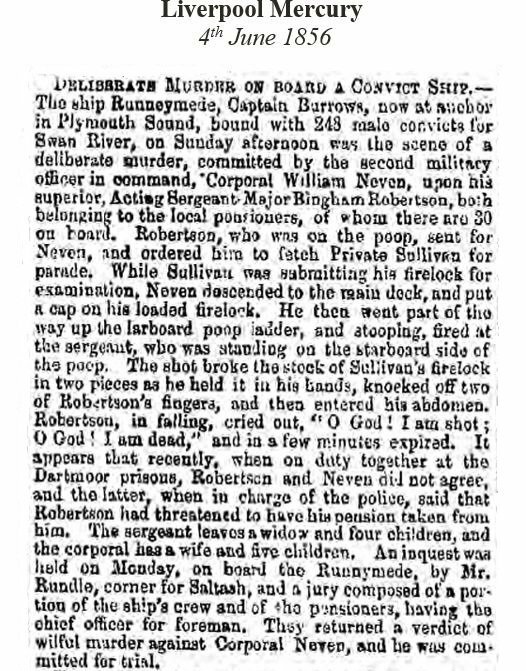 At 3 p.m. on Monday June 1, 1856, Robinson was attending to his duty on the poop deck of the ship when Nevin ascended the poop and shot him fatally with a firelock; Niven was seized immediately. He voluntarily claimed that he ‘had been driven’ to his action. As the men worked together at Dartmoor Prison, it was assumed there was some ill-feeling between them. Nevin was ultimately hanged and undoubtedly the sailing postponed because of the incident. 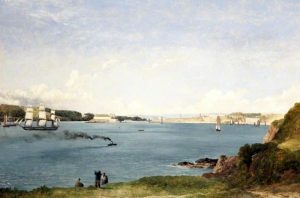 Runnymede left Plymouth on June 15, 1856 bound for the Swan River Colony. She carried the 17th shipment of male convicts destined for Western Australia. The voyage took a swift 84 days arriving in Fremantle on September 7, 1856 with no deaths recorded for the 248 convicts on board. Thirty pensioner guards, 19 wives, 18 sons and 22 daughters were probably the only other passengers. Only two veterans of the Crimean War have been identified to date, both served in the Royal Artillery; Richard Mallett and William Sheppard were both wounded in the conflict. William Burrows and Henry Edmonds were the Captain and Surgeon respectively. Burrows made several voyages as Captain of the Runnymede, but this was his only voyage on a convict ship. Surgeon Superintendent Henry Edmonds’ journal of the voyage appears not to have survived. In 1866 another drama unfolded for the Runnymede. She was carrying a cargo of copper ore and wool from Wallaroo, Tasmania to Swansea, Wales when she sprung a leak off Cape Leeuwin on the Western Australia coast. It was not initially thought to be serious, but by the time the ship reached south of Mauritius, Captain Frederick G H Little found the leak to be gaining. He ordered 100 tons of cargo to be jettisoned and continued on course, meaning to make repairs at the next convenient port. However on 2nd February, heavy seas soon disabled the vessel and all hands were forced to abandon her and take to the life boat and long boat. The life boat eventually went down but the crew were able to be taken onto the long boat and the mariners made land at Algoa Bay (Port Elizabeth). 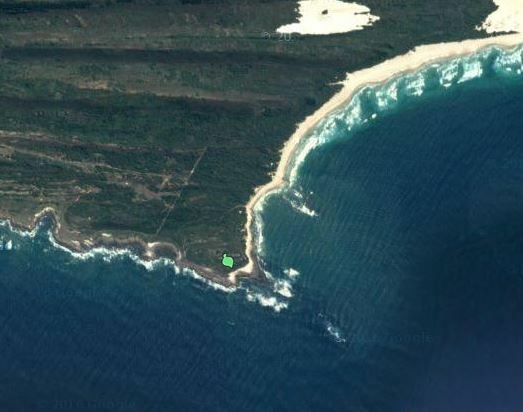 Runnymede‘s watery grave was located at Wreck Point, west of Klippen Point off the Eastern Cape of South Africa. No loss of life among the mariners was reported. However, it was believed that the various colonial insurance companies lost between £13,000 and £15,000 in cargo. Lloyd’s Captain’s List, London Metropolitan Archives. 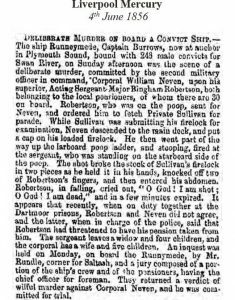 Plymouth Times 5 Jun 1856. Perth Gazette 12 Sep 1856. Hobart Mercury 14 Apr and 24 May 1866.